Developer Galliard Homes has snapped up part of a former Royal Mail facility in London for a project to build hundreds of new homes. 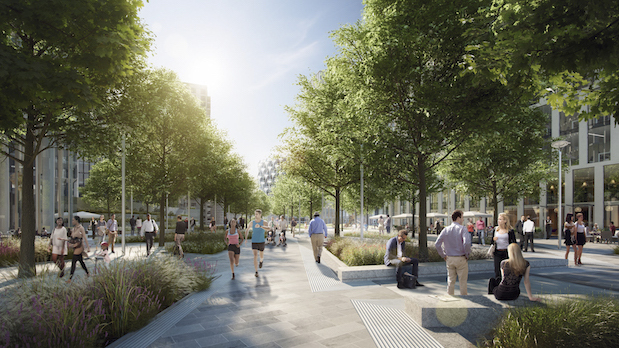 Galliard bought the 0.9-acre plot, located at the 14-acre Nine Elms Park in Vauxhall, for £22.2m. The company plans to develop 262 residential units on the land in partnership with property firm O’Shea. Around a quarter of the homes will be affordable housing. At Nine Elms, 8.35 acres of land is marked as developable pursuant under outline planning permission granted by local authorities in 2012. It centres on a linear park that runs the length of the site, from east to west, and includes both residential and commercial elements across seven development plots. The masterplan was created by architecture practice Allies and Morrison. Galliard Homes executive chairman Stephen Conway said: “Galliard Homes is pleased to have acquired this central London consented site, which once complete will be located within a park setting, just a short walk to the River Thames and Houses of Parliament. Established in 1992, Galliard now employs more than 700 staff and has a development portfolio worth over £3.8bn currently under construction.